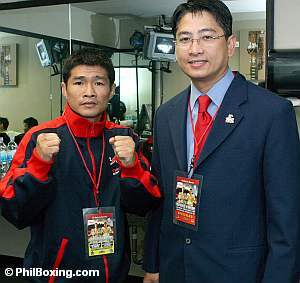 Sasakul made the comments to well-known WBC ringside physician Dr. Allan Recto who was assigned by WBC president Don Jose Sulaiman for the Sasakul title fight against the classy WBC/WBA super flyweight champion Cristian Mijares in Mexico over the weekend. Dr. Recto disclosed that Sasakul (64-4, 39 KO’s) complained of a headache after being stopped in the third round by Mijares (36-3-2, 15 KO’s) and he gave him some Paracetamol. The Filipino doctor who is highly respected by Don Jose Sulaiman said when he checked on Sasakul in his hotel room some six hours later, he was fine. Dr. Recto who witnessed what he said was “the farewell fight of the great Thai boxer” said he got to know him personally during the short time he was with Sasakul and his team. He reported that Sasakul “apologized for what happened to young Lito Sisnorio” who died following brain surgery after a bad beating at the hands of Sasakul on March 30, 2007 in Bangkok. Sisnorio (10-5-1, 3 KO’s) didn’t have approval from the Games and Amusements Board to fight Sasakul in what was clearly a mismatch. He was apparently sneaked out of the country by unscrupulous individuals and despite the culprits being identified none of them paid the price for the death of the young boxer and were set scot-free. 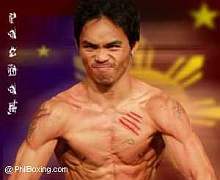 Dr. Recto revealed that on his way to Mexico, Sasakul and his team had to fly back to Thailand because of a typhoon in Hong Kong and then flew via Germany to Mexico arriving just three days before the fight because they didn’t want to cancel it. There was the press conference the following day and then the official weigh-in. Dr. Recto said he was sure Sasakul suffered from jet-lag. Dr. Recto (R) poses with Sasakul in Mexico. Dr. Recto checks with Sasakul during the fight with Mijares. The referee raises the hands of Mijares after Mirajes kayoed Sasakul in the 3rd round of their contest last Saturday at Arena Monterrey in Monterrey, Nuevo León, Mexico.